Our readers are familiar with language afterthought syndrome, a term we coined in our report on Multilingual Product Content: Transforming Traditional Practices Into Global Content Value Chains. Language afterhought syndrome refers to that pattern of treating language requirements as secondary considerations within content strategies and solutions. Global companes leak money and opportunity by failing to address language issues as integral to end-to-end solutions rather than ancillary post-processes. Examples abound. Source and translated content that should be reusable, but isn’t. Retrofitting content to meet regulatory requirments in different regions. Lost revenue because product and marketing content isn’t ready at launch time. Desktop publishing costs that are incurred soley due to reformatting in multiple languages. The list goes on and on. The portion of the presentation on selecting a web CMS with well-defined multilingual requirements will be especially valuable to any organization wanting to eliminate the negative impacts of language afterthought syndrome. Deb and Andrew described OCLC’s selection process and timeline, CMS selection criteria, prioritized globalization features, key standards that would need to be supported, text and language requirements, and requirements for integration with translation workflows. Many global companies are now rearchitecting their web strategies for global presence and audience engagement. We see this as a major technology and investment trend for 2011. The insight offered by OCLC couldn’t be more timely.The organization’s experience offers a treasure trove of guidance for companies who are evaluating new web content management systems with language requirements among their priorities. Thanks to Deb and Andrew for a great contribution to Gilbane Boston. 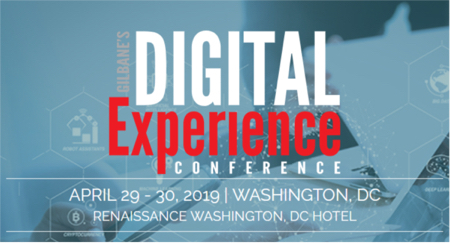 If you’ve been reading our recent posts on Gilbane’s new research on XML adoption, you might be wondering how to get the report in advance of its availability from Gilbane later this month. Smart Content in the Enterprise: How Next Generation XML Applications Deliver New Value to Multiple Stakeholders is currently offered by several of the study sponsors: IBM, JustSystems, MarkLogic, MindTouch, Ovitas, Quark, and SDL. We’ll also be discussing our research in real time during a webinar hosted by SDL on November 4. Look for details within the next few weeks. Here’s a quick rundown of summer educational events in which we participated with our partners. View these archived webcasts that you might have missed, or refresh your subject matter expertise as your organization heads into fall business activities. Fall webcasts include insights from Gilbane’s 2010 research on XML and multilingual marketing content, customer success stories, eBook challenges, web engagement, and web content governance. Look for announcements on our home page and blogs, in our weekly NewsShark, and through our social media channels.